The Airlander 10, the world’s largest and longest aircraft, has crashed after on landing during its second test flight near London, the UK. The 302ft long aircraft – which is part plane and part airship – was damaged during the flight from Cardington Airfield in Bedfordshire. The £25 million ($40 million) aircraft sustained damage to its cockpit when it hit the ground in a slow nosedive. 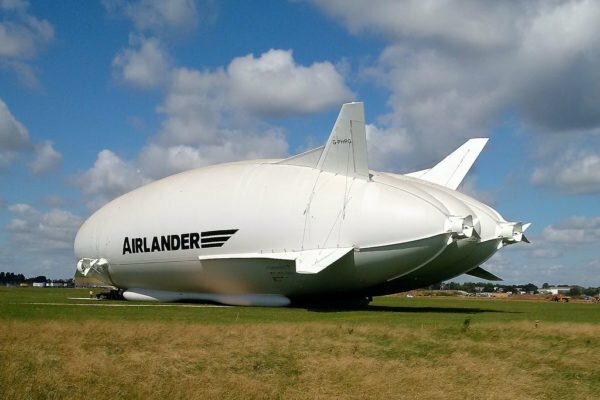 The Airlander 10 developer Hybrid Air Vehicles (HAV) said all the crew were “safe and well”. The Airlander 10 had just completed its planned 100-minute flight when it nosedived as it came in to land. “Hybrid Air Vehicles runs a robust set of procedures for flight test activities and investigation of issues,” the company said. The Airlander 10 had its first test flight from the airfield on August 17. Christened the Martha Gwyn, the Airlander 10 was first developed for the US government as a surveillance aircraft but the project was shelved amid defense cutbacks. HAV launched a campaign to return the Airlander 10 to the skies in May 2015. The company claims the aircraft could be used for a variety of functions such as surveillance, communications, delivering aid and even passenger travel. HAV says the Airlander 10 will be able to stay airborne for about five days during manned flights. The developer hopes to be building 10 Airlanders a year by 2021.